Monday, we meet again. LOL I hope everyone had a great weekend, though by the looks of the weather forecast in many parts of the country things were not so great. Womp, womp. But if you were stuck indoors because of the frigid temps, maybe a skincare pamper session or Netflix marathon was on your agenda. I was recovering from a cold after it spread around our entire house. Luckily Miles was not affected and he stayed the most healthy out of all of us. Ha! 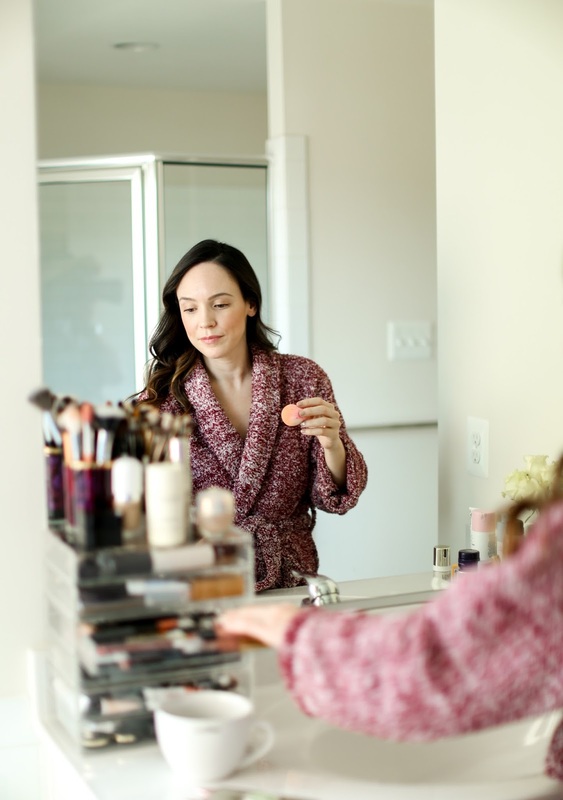 The idea for today's post came to me a few weeks ago, and I thought it would be fun to share what were some of the best beauty products that all of you were loving last year! I asked both on Insta-stories and on a recent YouTube video for people to tell me their beauty favorites and I would share the answers in an upcoming post. I received hundreds of messages so I thought I would highlight the products that were mentioned over and over again. Since I don't have any other contributors to my blog (other than my mom sometimes), I like being able to provide a different perspective and share recommendations from other people from time to time. Hope you enjoy! I'll first start with the top 5 skincare brands that were mentioned over and over: Sunday Riley, Drunk Elephant, Fresh, REN Skincare and Kiehl's. These were the top 5 makeup brands that seemed to be winning over many of you: NARS, Hourglass, Glossier, Anastasia Beverly Hills and Tom Ford. The top skincare product that was mentioned the most: Sunday Riley Good Genes. The top makeup product that was mentioned the most: Hourglass Ambient Lighting Powders. The 10 skincare products that were the most popular: Sunday Riley Good Genes, Clarins Double Serum, Estee Lauder Advanced Night Repair, Drunk Elephant Lala Retro Whipped Cream Moisturizer, Kiehl's Midnight Recovery Concentrate, Vintner's Daughter Serum, REN Bio Retinoid Cream, REN Perfect Canvas Skin Finishing Serum, Biologique Recherche P50 Exfoliating Toner and Fresh Soy Cleanser. The 10 makeup products that were the most popular: Hourglass Ambient Lighting Powders, By Terry Dual Powder, Glossier Boy Brow, Tom Ford Private Eyeshadows, NARS Radiant Concealer, Anastasia Brow Gel, It Cosmetics CC Cream, It Cosmetics Superhero Mascara, La Mer Soft Fluid Foundation and Pat McGrath LuxeTrance Lipsticks. Skincare products with honorable mention (not top 10 but just missed the cut off): Algenist Genius Liquid Collagen, Dr. Dennis Gross Alpha Beta Peel Pads, Drunk Elephant C-Firma Serum, Farmacy Green Clean Cleansing Balm, Fresh Seaberry Face Oil, Lancer Polish, Kiehl's Creme de Corps, Paula's Choice Omega+ Complex Serum, Sunday Riley CEO Moisturizer, Sunday Riley Luna and Sunday Riley UFO Oil. Makeup products with honorable mention (not top 10 but still mentioned multiple times): Bareminerals Complexion Rescue, Chantecaille Liquid Lumiere, Lancome Monsieur Big Mascara, NARS All Day Weightless Luminous Foundation, Stila Glitter and Glow Shadow in Kitten Karma, Tom Ford Waterproof Foundation and Concealer and Becca Backlight Priming Filter. Obviously there were more products mentioned but I wanted to highlight the most popular and most talked about ones so it's a bit easier to read and bookmark for your next shopping trip! I hope you enjoyed hearing about what other people (besides myself) are loving right now in skincare and makeup. I'll try to do another one of these in a few months because it would be interesting to see if the answers change once winter is over. Wow so many great brands! I have been wanting to try Kiehls for awhile now. I really can recommend products from The Ordinary. They are really good for your skin!